Everyone loves a touch of indulgent fragrance, and today’s mini Flash Event offers you the chance to win a hamper full of fragrance for both women and men. That’s six fragrances in all, worth a whopping £250. Those specially selected scents from Hugo Boss, Gucci and Dolce & Gabanna will see you through Christmas in style (or you could give them to friends and family as presents… if they’re good). 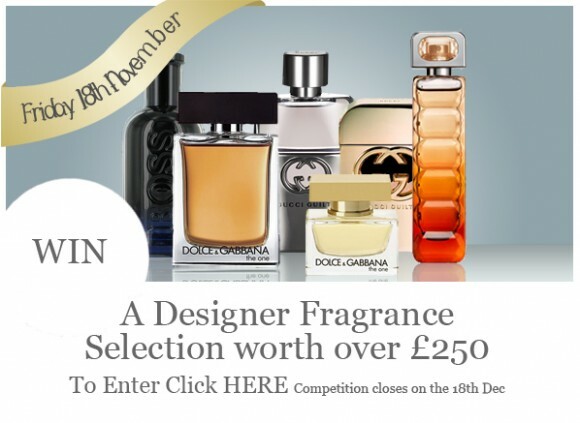 To enter the prize draw, simply enter on this competition page by the 18th December. The lucky winner will be notified on the 20th December. This entry was posted on Friday, November 18th, 2011 at 8:00 am and is filed under Christmas, Gifts, Offers. You can follow any responses to this entry through the RSS 2.0 feed. You can skip to the end and leave a response. Pinging is currently not allowed.